Where can he be? — I can't find him anywhere. – Где он может быть? — Я нигде не могу его найти. This is not my essay. I think it's yours (my — определение, yours — именная часть сказуемого). Это не мое эссе. Я думаю, это твоё. Will you go to the seaside this year? – Ты поедешь на море в этом году? That dress cost $50. – То платье стоит $50. Everything is so expensive these days. – Все такое дорогое в эти дни. I’ll never forget those days. – Я никогда не забуду те дни. I can learn this myself – я могу сама это выучить. You can draw this yourself. – Ты можешь нарисовать это сам. Alex always repairs his car himself. – Алекс всегда чинит машину сам. 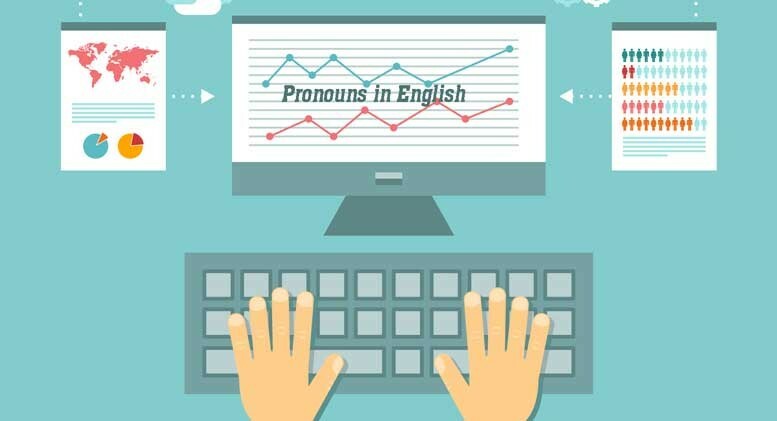 Неопределённые местоимения и их производные (Indefinite Pronouns). Some people believe in life after death. – некоторые люди верят в жизнь после смерти. The rescuers noticed someone in the water – Спасатели заметили еще кого-то в воде. If you need any further information, please call me. – Если тебе понадобиться какая-либо дальнейшая информация – позвони мне. Heavy rain has been forecast in many areas of the country. – Сильный дождь предсказывали во многих регионах страны. Let’s sit down for a few minutes. – давайте присядем на несколько минут. You’ve got plenty of time, I think. – У тебя предостаточно времени, я думаю. Some, any, no и их производные. He worked all his life in the mine. – Он проработал всю жизнь в шахте. Are you both busy today? — Вы сегодня оба заняты? There are shops at either end of the street. — Магазины есть на каждой стороне улицы. Everything is ready for the party. – Все готово к вечеринке. Can you pass me another piece of bread? – подай мне еще кусочек хлеба. He doesn’t care what other people think of him. – Его не волнует, что другие думают о нем. Each item is carefully checked. – Каждая деталь тщательно проверяется. Jane is cleverer than the other children in her class. – Джейн умнее других детей в классе. None of them took any notice of us. – Никто из них даже не взглянул на нас. It's not so easy to answer your question. – Не так просто ответить на твой вопрос. Neither Bob nor Tom solved the problem. – Ни Боб, ни Том не решили пример. No one can predict the consequences of global warming – Никто не может предсказать последствия глобального потепления. I don't like the actress who plays the leading role in that new television drama. – Мне не нравиться актриса, которая играет главную роль в той новой телевизионной драме. The street in which I live is being reconstructed. – Улицу, на которой я живу, реконструируют. She looked unusually cheerful, which seemed rather strange to me. – Она выглядела необычайно жизнерадостно, что показалось мне странным. А теперь давайте попрактикуемся и выполним несколько упражнений. Упражнения на употребление местоимений в английском языке. Упражнение 1. 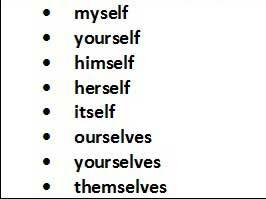 Choose the correct form of the possessive pronouns (Conjoint / Absolute). Обведите правильный вариант употребления притяжательного местоимения. Whose coat is this? — It must be / mine. I’d like you to meet a friend of my / mine. Our / Ours cottage house is much smaller than their / theirs. Can I borrow your / yours bike? My / Mine is broken. That’s not Jane’s husband. Her / Hers is a handsome tall man. We shouldn’t dream of wasting your / yours time, so don’t waste our / ours. When our / ours washing machine broke, the neighbors let us use their / theirs. Упражнение 2. Choose the correct variant from the given pronouns. Выберите правильный вариант употребления местоимений в английском. Упражнение 3. Вставьте следующие местоимения в текст. We (1) ________ know (2) ________ video games offer (3) ________ the chance to do things we have never dreamt of doing in real life – slaying dragons, sorting shapes to make (4) ________ disappear. But, most games are packed with many rules (5) ________ are designed to restrict the player – and there is usually a central narrative (6) ________ you have to follow if (7) ________ want to see the end. Look at RPG genre. Modern RPGs opt for a open-world approach to design, (8) ________ ostensibly allows players (9) ________ freedom to explore. Presented with (10) ________ sense of “freedom”, the first thing we tend to do is to see (11) ________ (12) ________ can attack – and in an RPG, that’s often the initial quest-giver. So while some high elf is telling (13) ________ (14) ________ about the 1,000 year war (15) ________ has plagued (16) ________ land, I’m just trying to decapitate (обезглавить) (17) ________. Perhaps in the future, developers will create characters (18) ________ will react in real-time to (19) ________ you do. Упражнение 4. Translate the Russian fragments into English using the correct pronouns.Переведите, используя корректное английское местоимение. We are both vegetarians. (Никто) _______ of us eats meat. They’ve sent me only two of the five books I ordered, (другие) _______ haven’t come yet. Very (мало) _______shops can offer such a variety of services as this one. (Ни одна) _______ of these photos were familiar to me. (Еще) _______ two uneventful days have passed. (Каждый) _______of them was dressed up for the occasion. Have you been offered (какую-нибудь другую) _______ job? Please, keep (другой) _______ end of the rope tight. (Никто) _______of you I need to worry about my problems. I enjoyed (каждую) _______ minute of my stay in London. (Ничего) _______ ventured, (ничего) _______ gained. As there was (очень мало) _______ time left, he outlined his plan I in brief. We only spent (несколько) _______ days in London, on the first day we visited a museum but on (остальные) _______ days we just I strolled around. Fortunately, I had (немного) _______ time to spare. Could you fetch (другой) _______ knife from the kitchen? This holiday was different from (других) _______ we had spent before. Would you mind lending me (немного) _______ money? (Всё) _______is clear now, thank you. There isn’t (много) _______ time left — we must leave at once. She never stops looking at (себя) _______in the mirror. Why not repair the house (сами) _______? It’s strange, but Andy doesn’t like (ни одной) _______ of the school activities at all. Основная часть материала для статьи была взята из Лексико-грамматического практикума для 11 класса. Авторы – Карневская, Курочкина, Фастовец. 1 Комментарий для "Местоимения в английском языке. Теория и упражнения"
Обратила внимание что местоимения it, you и вопросительное местоимение what имеют одну форму во всех падежах.спасибо за упражнения после материала. Это помогло закрепить пройденное. Сейчас также занимаюсь на lingohelp.com Заметил улучшения.